Dubsism contributor Ryan Meehan hits another comedy insight home run. 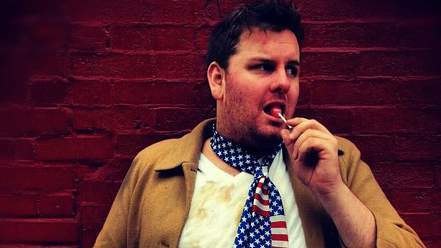 Tim Dillon is a New York based comedian and writer. He has been featured in the New York Comedy Festival, performed on Gotham Comedy Live on AXS-TV, and was recently on of the Top 100 finalists on Season 9 of Last Comic Standing. He co-hosts “Stewed: A Comedy Food Podcast” with Mike Recine on Cave Comedy Radio. He is also a regular on the hit comedy podcast “Keith and the Girl”, and you can break out the placenta biscuits because he’s also my guest today in 10 questions. RM: What made you initially want to try your hand at stand-up comedy? What was so exhilarating about that first time on stage which made you want to get up and do it again? This entry was posted on February 2, 2016 by J-Dub in Humor and tagged 7 Questions, Guest Columns, Ryan Meehan.